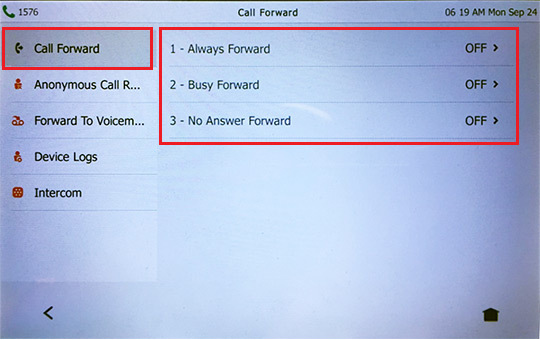 Call Forward (No Answer/Busy Transfer and Always Call Forward) settings can be controlled on the Desk Phone and One Talk Mobile Client. 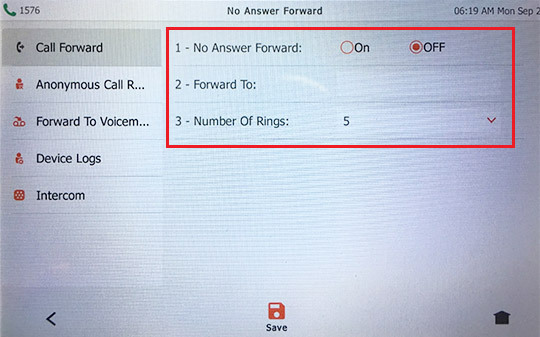 Overall ring time settings can be controlled on the desk phone. 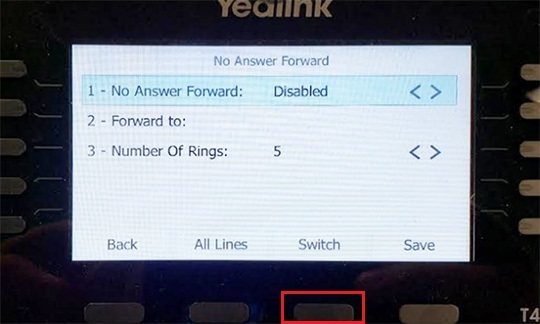 Adjusting ring time settings in conjunction with No Answer Transfer or Busy Transfer on a desk phone changes the amount of time the desk phone will ring. Example: Adjusting ring time to 3 rings results in a 15 second ring time. 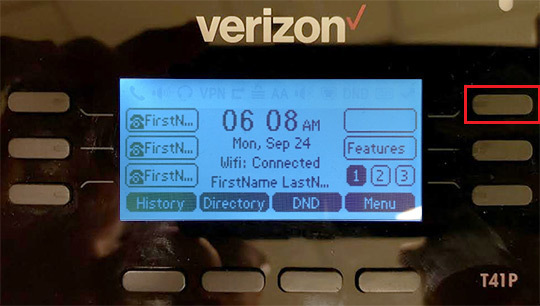 This can cause unwanted results for incoming calls to the One Talk phone number when called directly or transferred by an Auto Receptionist or other line type. 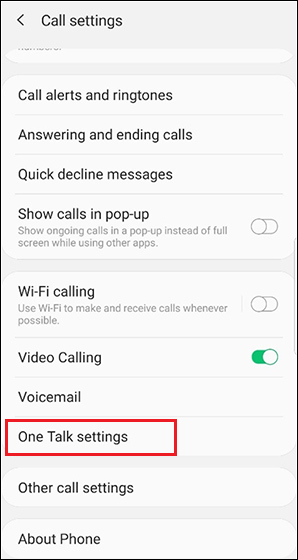 Ring time cannot be changed in the mobile app. 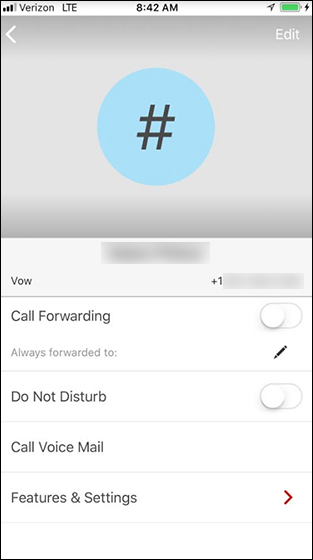 From the User Features section, click the gear icon next to the call forwarding method you want to turn on. 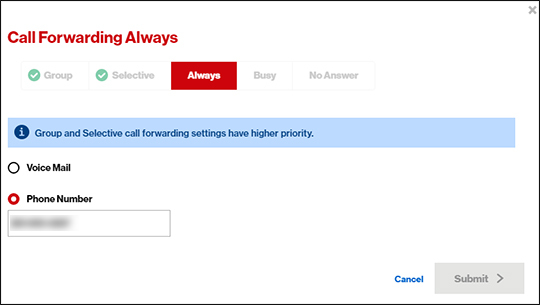 Call Forwarding - Always / Busy / No Answer: Select 'Phone Number' or 'Voice Mail' then click Submit. 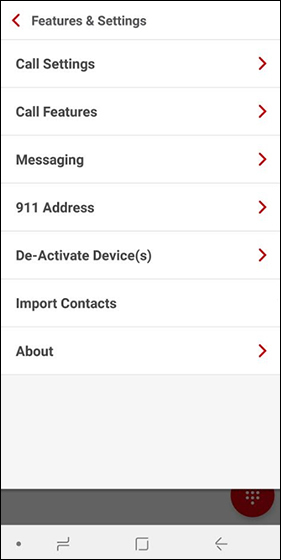 If selecting Phone Number, enter the 10-digit number to which you want to forward. 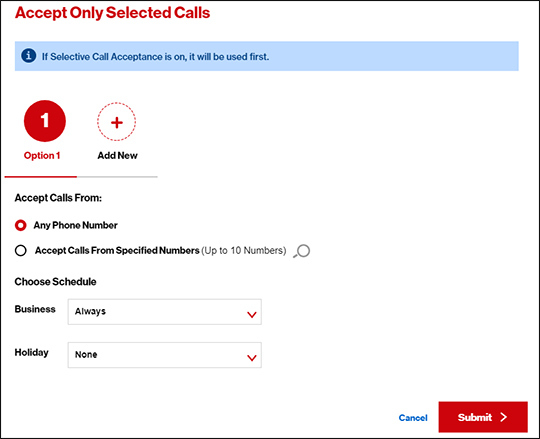 Select 'All Phone Numbers' or 'Forward calls from the numbers specified below'. 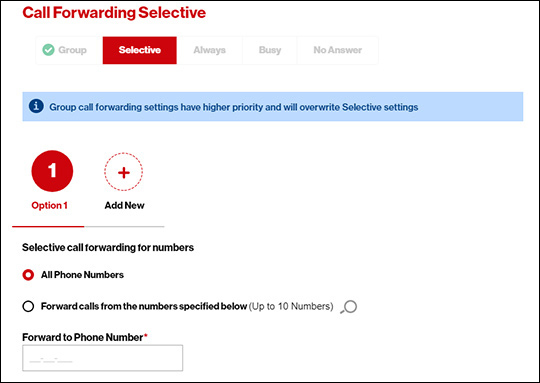 If selecting 'Forward calls from the numbers specified below', enter up to 10 phone numbers (10-digit) from which you want calls to be forwarded. 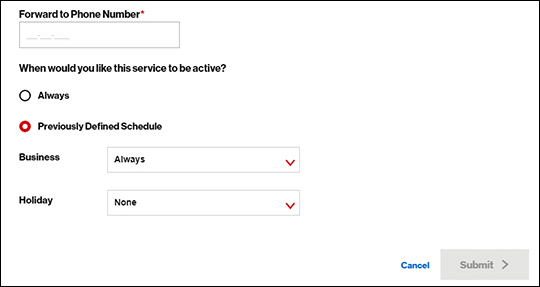 If selecting 'Previously Defined Schedule', Select the preferred option in the Business and Holiday dropdown boxes. 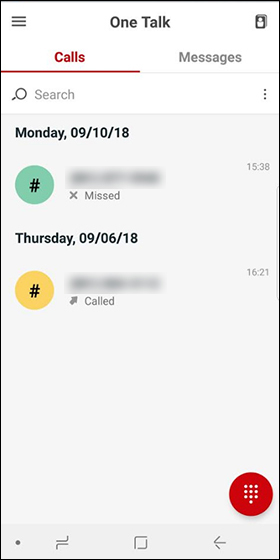 Use 'Selective Call Acceptance' if you want to receive calls only from the numbers you choose or 'Selective Call Rejection' if you want to block calls from the numbers you choose. 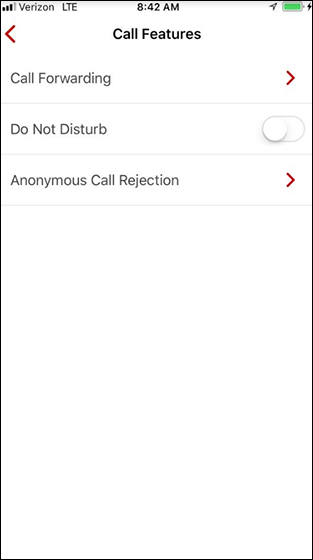 Callers either on the selective reject list or not on the selective accept list will hear a message stating the party they are trying to reach is not available. 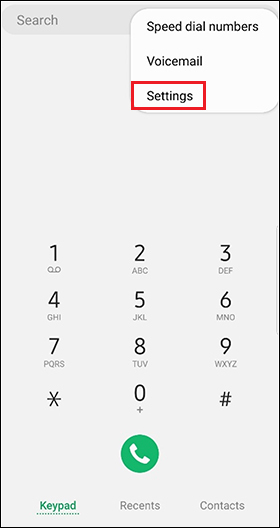 Select 'Any Phone Number' or '(Accept / Reject) Calls From Specified Numbers'. 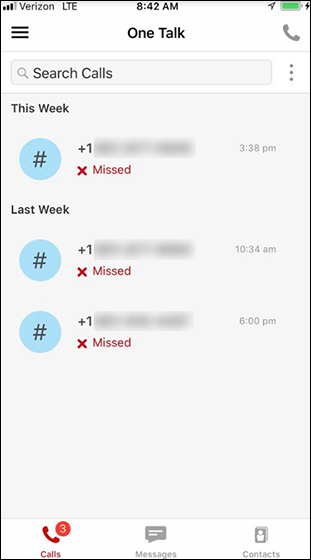 If selecting '(Accept / Reject) calls from the numbers specified below', enter up to 10 phone numbers (10-digit) from which you want calls to be forwarded. Set the schedule as preferred using the dropdown boxes. 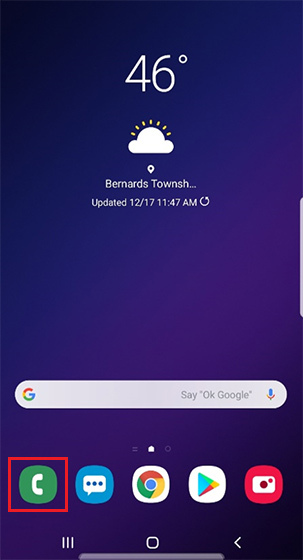 Open the One Talk mobile app. 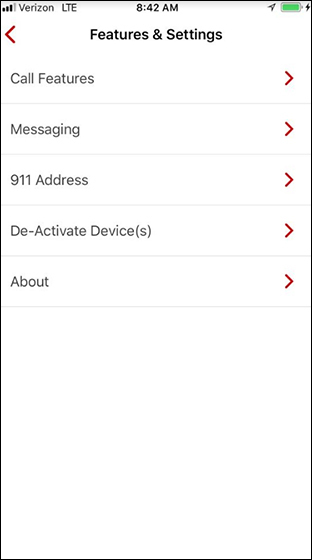 Tap the Edit icon to change or enter a 10-digit phone number where you want calls to be forwarded. Tap the switch icons to turn Always, Busy, or No Answer forwarding on o desactivar . 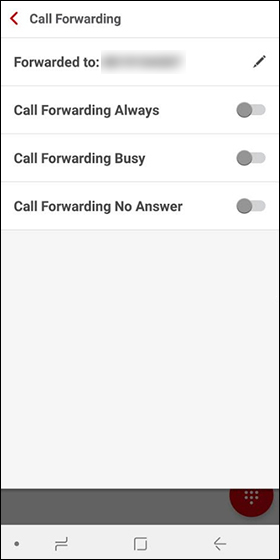 Tap Forward calls to then enter the 10-digit number where you want calls to be forwarded. 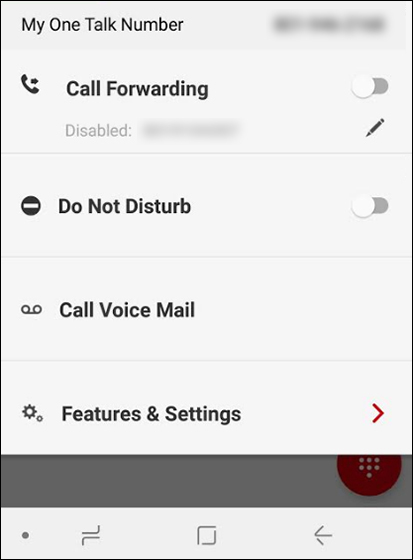 Tap the switches to turn the preferred call forwarding option(s) on o desactivar . Press the Features soft key. Press the 1 key or Call Forward soft key. Press the appropriate number key or soft key for Always, Busy, or No Answer Forward. From the 'Forward Type' screen, press the 'Switch' soft key or left/right directional arrow key to enable or disable. Enter the number to which you want to forward calls then press the down directional arrow key to scroll to the next screen. Adjust the number of rings using the left/right directional arrow keys. Press the Save soft key to save changes. Press the 1 key or 'Enter' soft key. Press the appropriate soft key for the forward type needed. Press the 1 key or No Answer Forward key then press the 'Switch' soft key or use the 'left/right' directional keys to enable/disable. Press the 2 key or 'Forward to:' soft key then enter/edit the 10-digit phone number where you want calls to be forwarded. Press the 3 key or Number Of Rings soft key then use 'left/right' directional keys to adjust the number of rings. 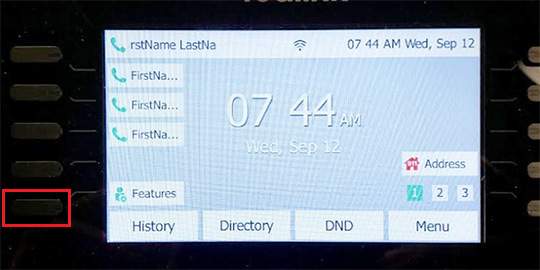 Settings are managed from the W56 cordless handset. Press the OK button to open the main menu. 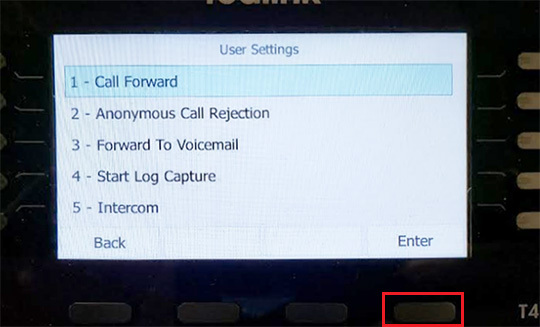 Press the down directional key to scroll to Features then press OK.
'Call Forward' is highlighted as the first choice. Press the right soft key or the OK button. Press the up/down directional keys to select the desired call forward type then press the right soft key or OK button. Press the left/right directional keys to turn on or off. 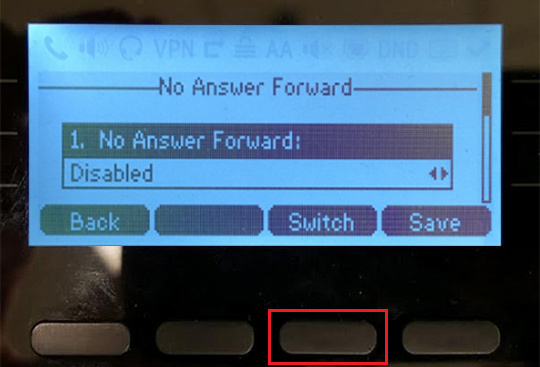 Press the down directional key to scroll to Target then use the keypad to enter/edit the 10-digit phone number where you want calls to be forwarded. 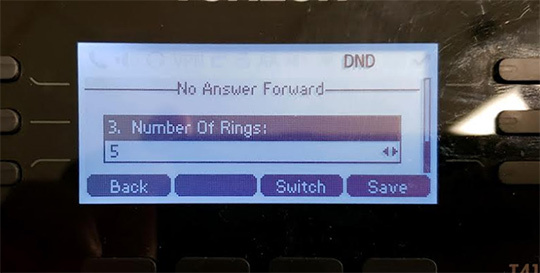 Press the down directional key to scroll to Number Of Rings then press the left/right directional keys to select the desired number of rings. Press the right soft key ('Save') to save changes. 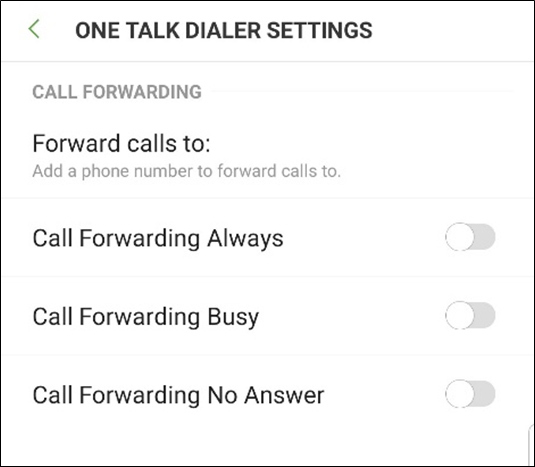 Tap Call Forward then select the desired call forward type. Tap the On or Off button to turn the forward on or off. 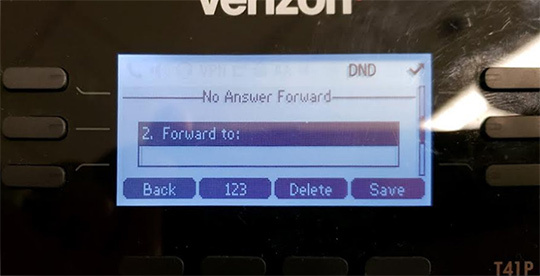 Tap the 'Forward To:' text box then use the dialer keypad to enter the 10-digit phone number where you want calls to be forwarded. Tap the 'Number Of Rings' dropdown box then select the desired number of rings.